Laura (Penélope Cruz) and her children travel from Buenos Aires to the small Spanish village where she was born to attend her sister's wedding. Unexpected events soon lead to a crisis that exposes the family's hidden past. Suspicions mount, loved ones begin to turn on one another, and dark secrets long hidden threaten to come to light, revealing shocking truths. 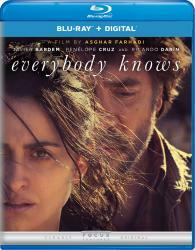 This gripping thriller from Oscar-winning filmmaker Asghar Farhadi also stars Javier Bardem and Ricardo Darín.